The TVZ FAQ Q#2 provides a good start, with essential facts and family info. 1 Oct 1999 - William Hedgepeth's article "Townes Van Zandt - messages from the outside" that appeared in Atlanta's Hittin' the Note magazine back in May 1977 is now available. One by Stewart Francke, originally published by Contemporary Musician, available as a local copy. 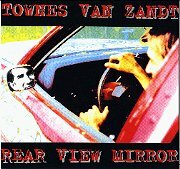 See also links at the TVZ Memorial Page - especially under the section "Press Releases and Published Articles about Townes", including articles by Neil Straus, Michael Corcoran, and Brad Tyler.